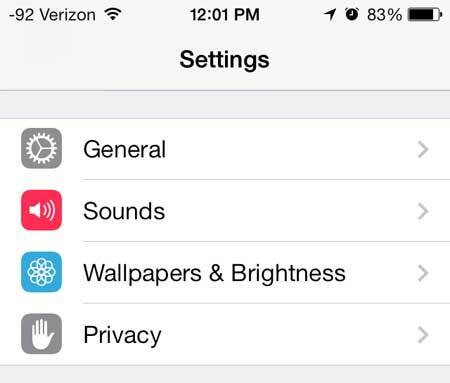 There are a lot of apps and notifications that create a noise on your iPhone. It’s nice to have a distinct sound for different events, but it is understandable if you do not like the particular sound that is playing. 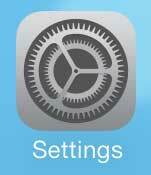 This is a setting that you can configure for nearly all of these sounds, including your ringtone. It’s especially important to have a non-default ringtone if your phone is often in a centralized location with other phones. Setting a ringtone that you choose will help you to know that it is your phone that is ringing, which can take away confusion that might occur among people that all use the same sound. So if you want to change the sound that is played whenever your iPhone rings, follow the steps below. 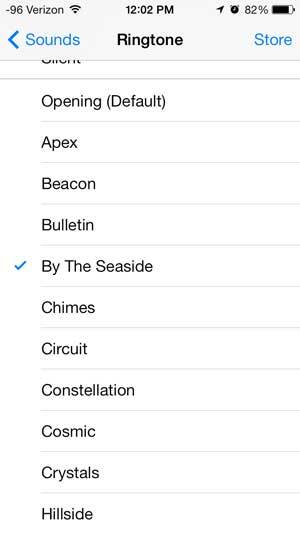 The tutorial below is going to show you how to select a different ringtone from the options that are included on your iPhone by default. You can also purchase new ringtones by going to the iTunes store and selecting from the options that are sold there. 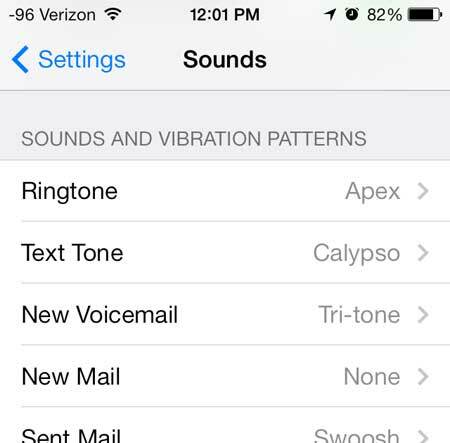 Step 3: Scroll down and tap the Ringtone option under the Sounds and Vibration Patterns section of the screen. Step 4: Touch a ringtone option to hear what it sounds like. You can touch the blue Sounds button at the top-left corner of the screen to exit this screen when you have selected the ringtone that you want to use. One of the best new feature of iOS 7 is the ability to block unwanted callers. Learn how you can block callers on your iPhone 5 without downloading any new apps, or paying extra money for a service.